Place to rent an ATV? Mokan Riders Offroad Club » MOKAN RIDERS CLUB AREA » GENERAL DISCUSSION » Place to rent an ATV? 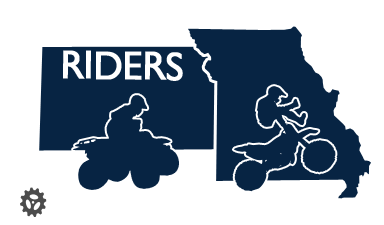 I have a friend who is from Denver but living in KC with no ATV. I told him about the Finger Lakes trip and he really wants to go. We are trying to find him a quad to ride for the weekend. +1 finger lakes! Sweet, so you're going to stop by Finger Lakes on your way back? i can help look for a wheeler. what size is he wanting and 4x4 or sports quad? I think right now he just wants to rent one for the weekend but down the road buy one. Ok. Let me know when I can help. I don't know of anywhere to rent one in Missouri. That's what I told him lol. Can't find one. Actually I am looking on Craigs and I think maybe a small dirtbike is the way to go. We will raise him as a MAN! LOL! Sounds good to me. I will be switching to a bike here after a while. After I get used to riding and clutching and stuff. I've rode it two weekends since I've got it and I plan on riding this weekend. =) I have only had it for a month. Jerry now you have a reason to come to Finger Lakes. To defend your choice of machine! My truck will only hold one quad or it can hold 2 dirtbikes. Maybe the problem here is I need a bigger truck. 26 Re: Place to rent an ATV?